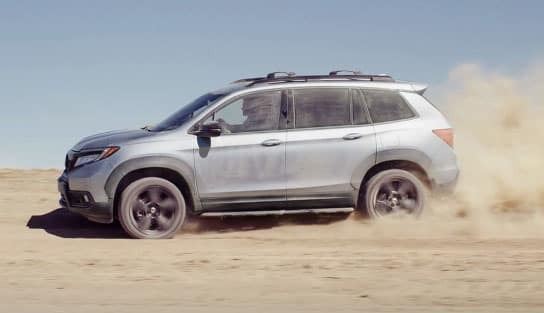 Get ready Rochester: The all-new 2019 Honda Passport is now here at Ralph Honda. Be among the first to check out its plenty of cargo room1, 280 horsepower2 and available all-wheel drive, the Passport SUV is fully equipped to turn any outing into an adventure. At Ralph Honda, not only will you be treated like family and greeted with a smile by our knowledgeable and courteous Passport experts, but you can enjoy the low-pressure, personal test drive experience and competitive pricing. Sign up today to take a test drive in the All-New 2019 Passport! Simply submit the form on this page or call now at 585-978-3070. Access your smartphone’s music, messages andmore with availabl Apple CarPlay3 and Android Auto4 inetgration. 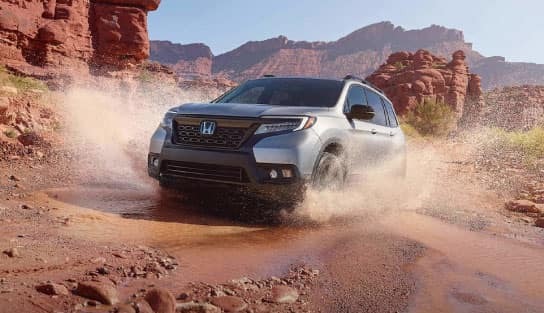 Or find your way while off the grid with the available Honda Satellite-Linked Navigation System5. Forged for outdoors exploration, the Passport combines athletic design with utility. Available gloss-black wheel, roof rails and a wide range of Honda Genuine Accessories help you outfit your Passport for endless journeys. The Passport has plenty of room for adventure, with seating for five, ample cargo space6 that incldes underfloor storage compartments, and a one-touch fold-down 60/40 split rear seatback. 1 Honda reminds you to properly secure cargo items. 2 280 hp @ 6000 rpm (SAE net). 5 The Honda Satellite-Linked Navigation System™ is standard on the Touring trim in the United States, Canada and Puerto Rico. (Honda HD Digital Traffic service only available in the United States, except Alaska.) Please see your Honda dealer for details. 6 Honda reminds you to properly secure cargo items.